WILLEMSTAD - Just a little bit more and then 100,000 cars are driving in Curaçao. In the space of ten years, 15,000 cars have been added. Most cars run on gasoline, about 12,000 on diesel. Only 18 cars drive on electricity. 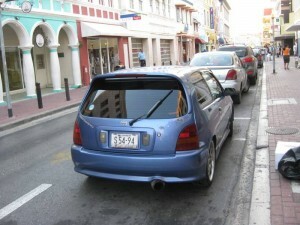 The vehicle fleet in Curaçao is also outdated. More than half of all cars are 10 years or older.